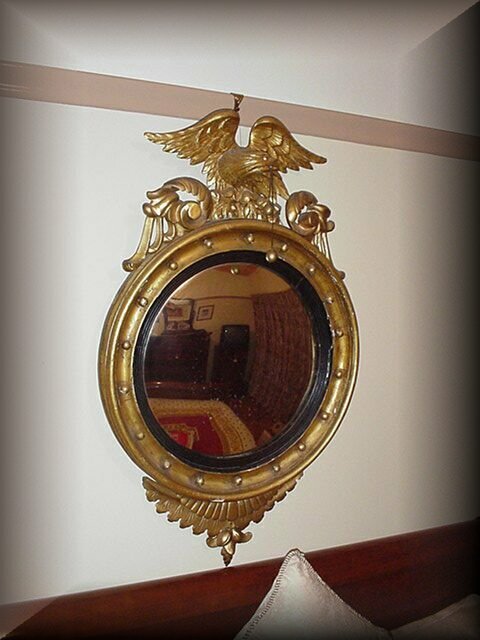 We can organise Insurance and Shipping to anywhere in the world. 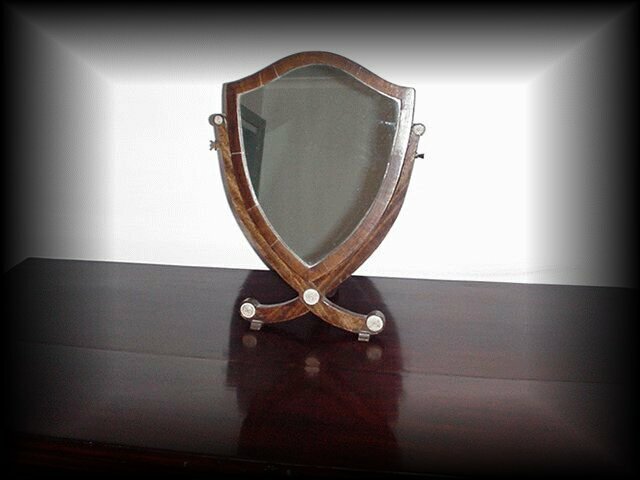 George III Mahogany Fretted Wall Mirror with inlaid shell and hoho bird. 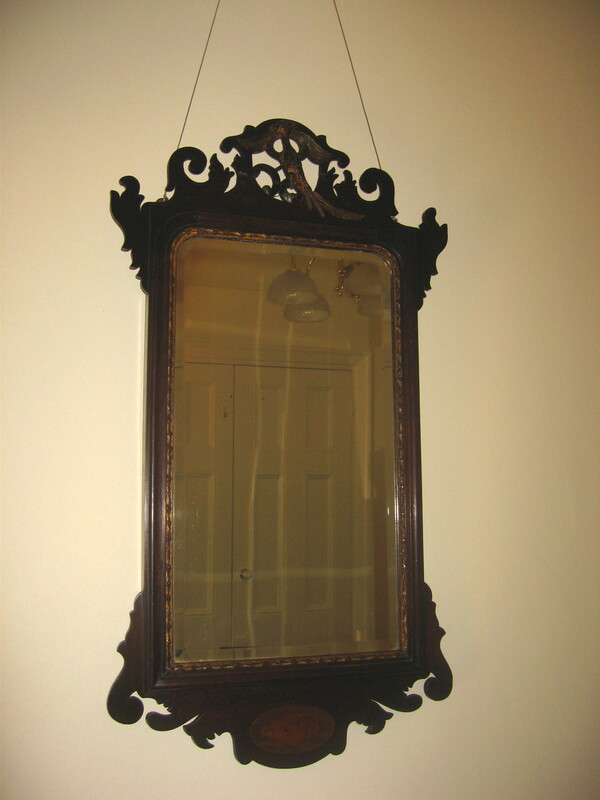 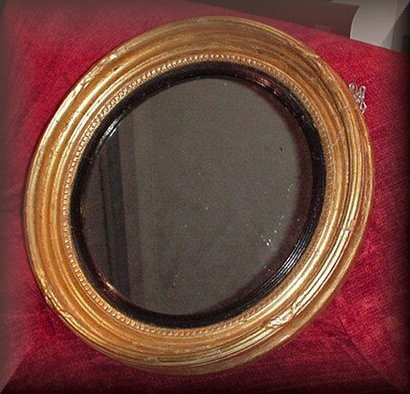 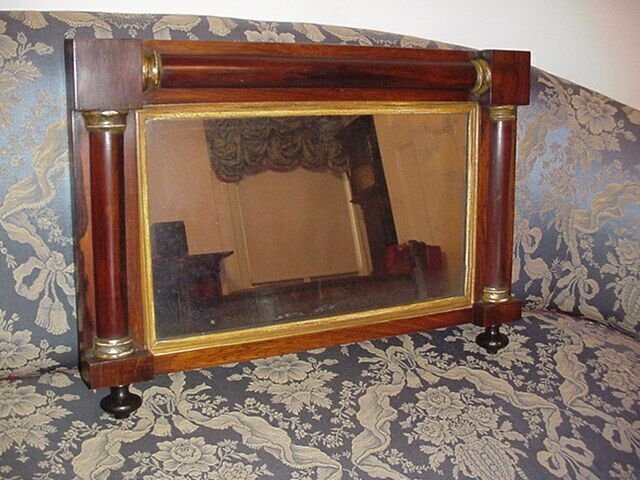 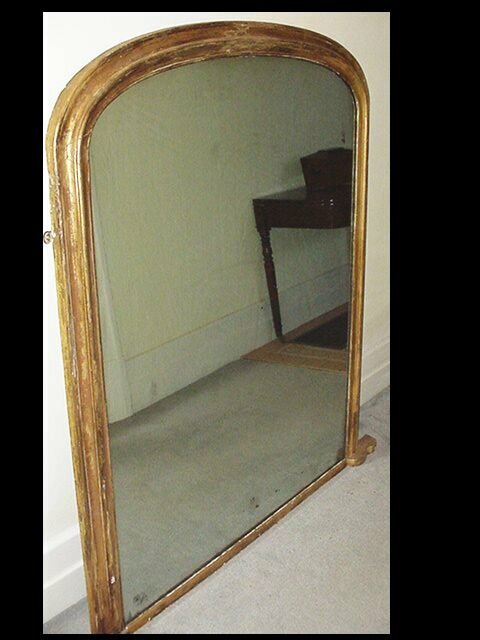 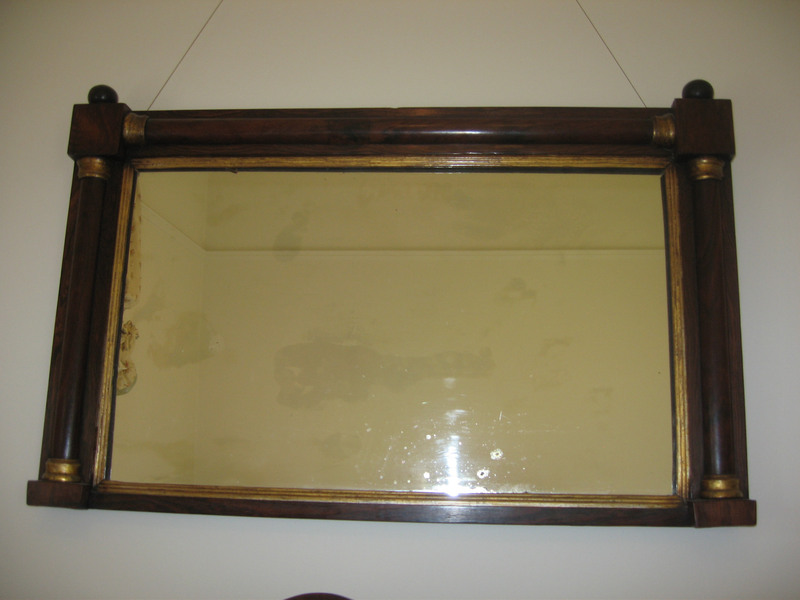 Regency Mirror with ribbed black border.